I have always maintained that my biological and temporal status and as an adult does not exclude my previous status as a child; I have not grown out of childhood I have merely added to it. Of course there is only so much room in my brain and soul to retain everything that filled them during my childhood. As much as I have been able to cling onto those things that defined me throughout my life, rather than just its current position, some elements have been lost in time. The 80's sci-fi series Star Fleet was almost a similar casualty. All I had floating in my head was the image of the heroic character Shiro, a couple of the space ship designs and a vague image of a comic strip based on the series. We live in the 21st century, however, and we don't need memories anymore. So thanks to Amazon and Fabulous Films I was able to pick up the entire series on DVD alongside some spiffing postcards, a double-sided poster and, you guessed it, a reproduction of that very comic. After allowing my memories to pour into my head I then suddenly realised that watching this might actually destroy those same memories. I mean, it can't be good... right? Well, yes and no. 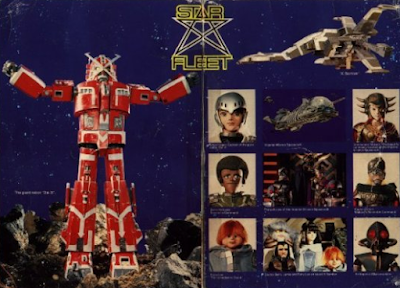 Star Fleet is a Japanese twenty-four episode space opera featuring the crew of Bomber-X; an experimental space ship designed to defend Earth against the Dreaded Imperial Alliance and its leader The Imperial Master. 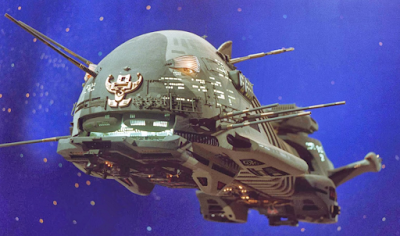 The ship, and its transforming robot counterpart Dai-X, is engaged in battle after battle with Commander Makara in her fearsome space cruiser until it becomes clear the fate of the universe rests on the mysterious F-01. Oh, and its all done with puppets. 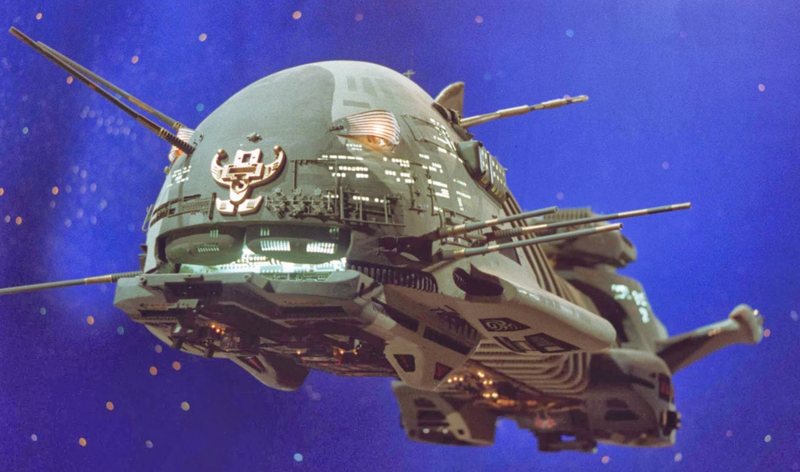 If you can imagine the craft and aesthetic of Gerry Anderson mixed with the design and miniature work of Japanese science fiction you've got a pretty good idea of what Star Fleet looks like. The japanese version was inspired by Thunderbirds and Star Wars. 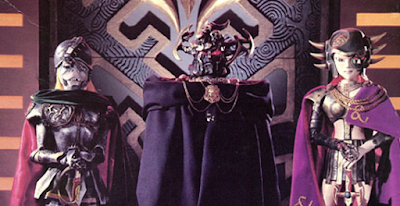 It was sold to the UK and re-edited and dubbed but many of the Japanese science fiction tropes remained intact. 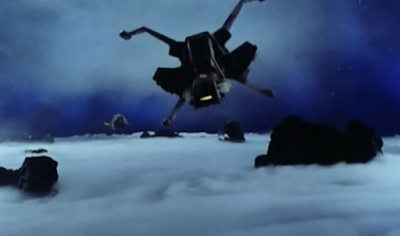 The melodrama often present in Japanese sci-fi also remained. Unfortunately when you're constantly looking at expressionless puppets the emotion doesn't quite come across. The po-faced nature of some of the episodes become almost intolerable when your cast can't sell them. It did, however, also retain the kinetics of Japanese miniature work as seen in other space operas such as Message from Space. The ships whizz and zoom around a fountain of pyrotechnic debris in genuinely exciting battles. This even carries across to sequences with puppets. Where Anderson's puppets would hobble around in static shots these characters interact more organically and are captured with dolly shots and crash zooms. There is even a generally successful John Woo style stand-off. What surprised me about the series the most is that it is not twenty-four self-contained space adventures but one continuous serialised story. This kids space puppet show was doing the kind of long-form storytelling that most lauded US television shows are doing now. And yes, that means it comes with the kinds of twists you'd expect from modern television as well. There are betrayals, character reveals and even major deaths throughout the series. This is especially the case in the finale. Played out over two episodes major characters are offed in quite brutal ways with one death so sudden and efficient for a kids show it actually made me clap. The heroic Bomber-X pilots transform their ships into the giant attack robot Dai-X and just ploughs through Makara's cruiser, ripping it apart from the insides and swatting away the crew as it does. It eventually reaches the bridge where the giant robot faces off against the normal human-sized Makara and... well... just punches her. With its fist that is twice the size of her. Literally just busts her in the chops. Look! Awesome. The problem is that most of the twenty-four episodes is spent farting about. There is a lot of padding here, normally involving a damaged Bomber-X being stranded on a planet. So much so it actually took me around two years to watch the whole thing. Normally two or three episodes would give me all the space puppets I needed for a good few months and it wasn't until characters starting dying and the stakes started to rise that I felt like watching more than that. It is easy to understand why I loved Star Fleet as a kid. It literally looks like someone filmed themselves playing with the coolest toys. As an adult there is still plenty here to like. The miniature work is excellent, the pyro-heavy practical space battles still thrilling and the plotting and willingness to kill characters admirably ambitious. It takes itself way too seriously at times and there isn't enough material to warrant this many episodes, but if you fancied dipping in you'll find more here than empty nostalgia.